Spring in St. Brelade's Bay beach. For a small island, nine by five miles (15 x 8km), with a population of about 90,000 people, fresh water resources are obviously of paramount importance. The warm temperate climatic regime provides an average of c. 500mm (2") per month but it also causes some periods of summer drought. Add to this the limited number of valleys which could be used for creating reservoirs, and the two important industries, agriculture and tourism which draw heavily on water during the summer months for irrigation and for use by the increased population, then it is seen that demands can be heavy on a not always constant or reliable resource. 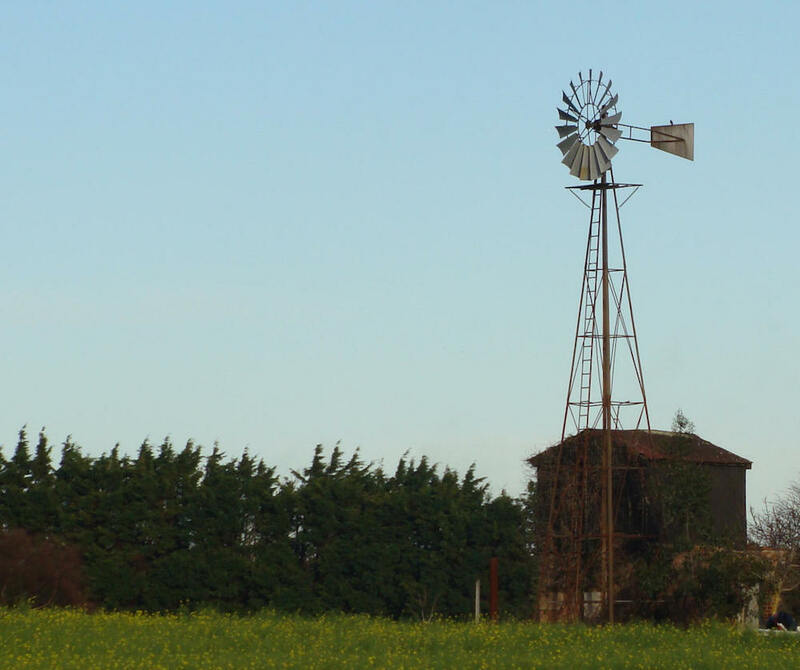 The present reservoirs are generally filled by winter rainfall but in the summer time our crops, guest houses and hotels may be at risk if there is a drought. 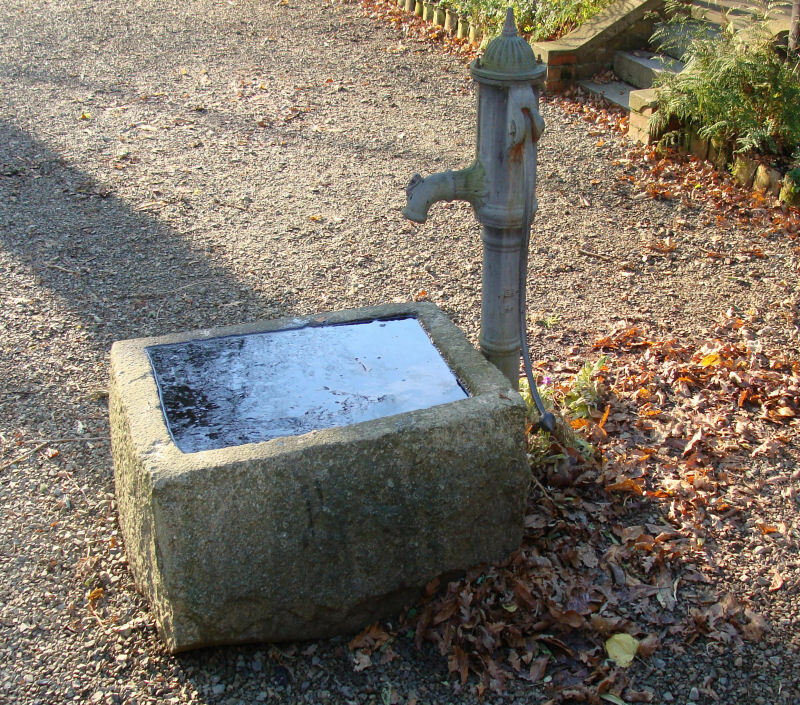 In time past, we used wells, inside or outside the house, field and community 'fontaines' (springs), lavoirs and abrevoirs, wind and hand pumps with troughs (photos above and below). 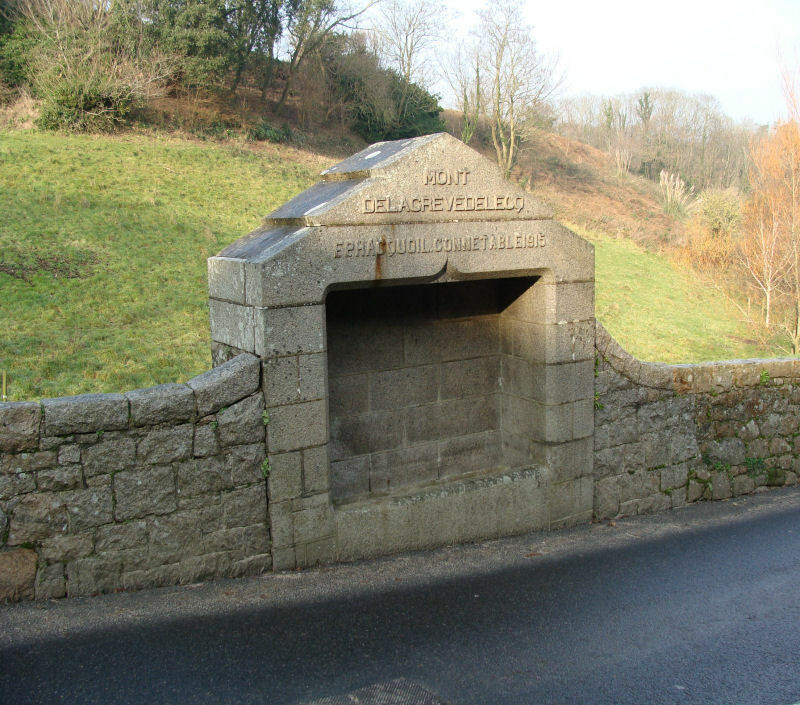 Many of these still exist and make our lanes even more delightful to walk along. 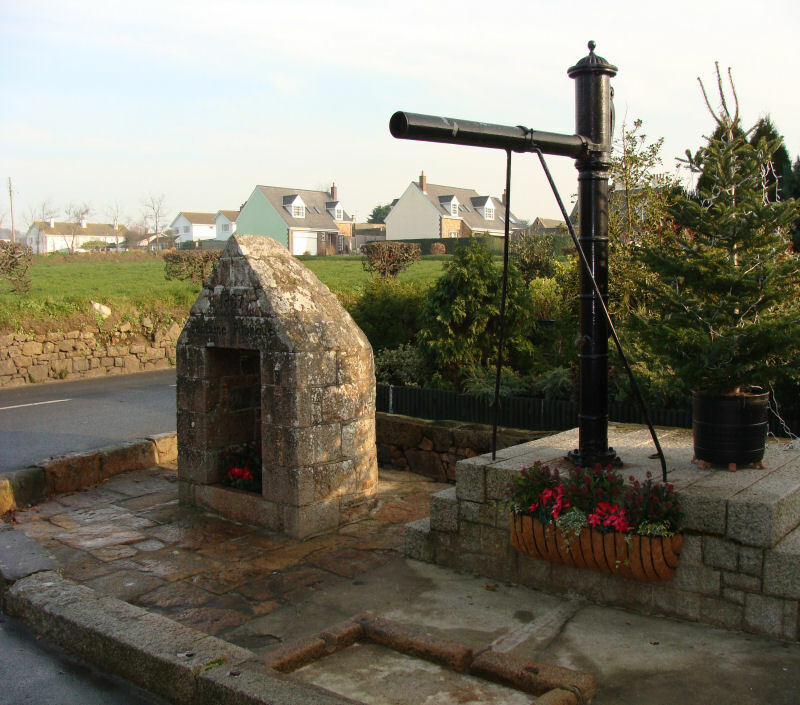 Nowadays, we not only use household wells but also water bores and mains water supplied from several reservoirs in Waterworks Valley (Le Chemin des Moulins), Le Val de la Mare in the west and Queen's Valley in the east by Jersey Water company. The company also maintains bore holes adjacent to the reservoirs to return percolating water to them. 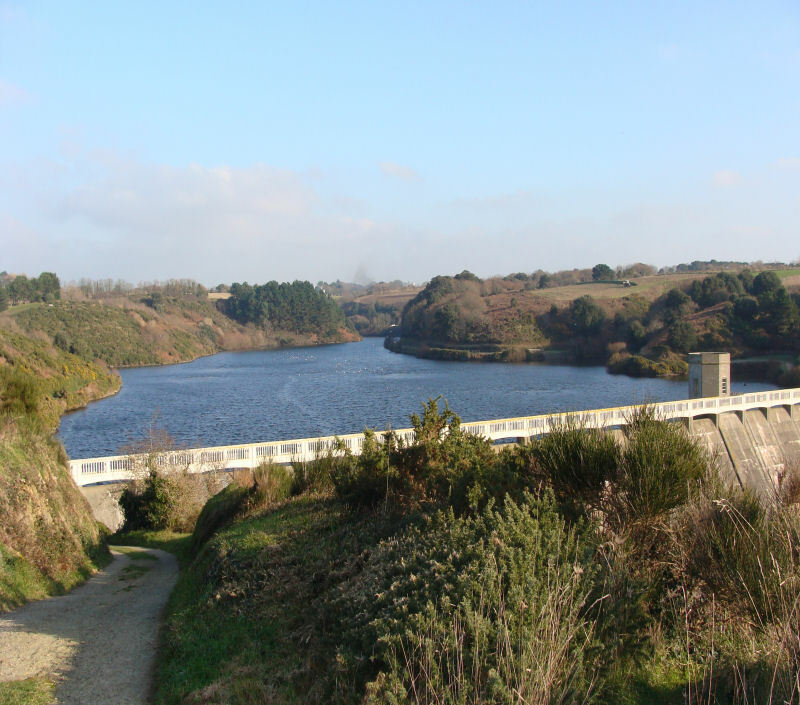 In the past 30 years, a desalination plant has been built at La Rosière, near La Corbière in the southwest of the island, from which the distilled sea water can be pumped to Le Val de la Mare reservoir (above) in times of drought, and we have created another reservoir by damming Queen's Valley in the east of the island. Individual farmers have also made small earth dams (below left) where there are no abrevoirs (below right), and created reservoirs for their livestock during this time. Earth dam, Le Mont Fallu, St. Peter. 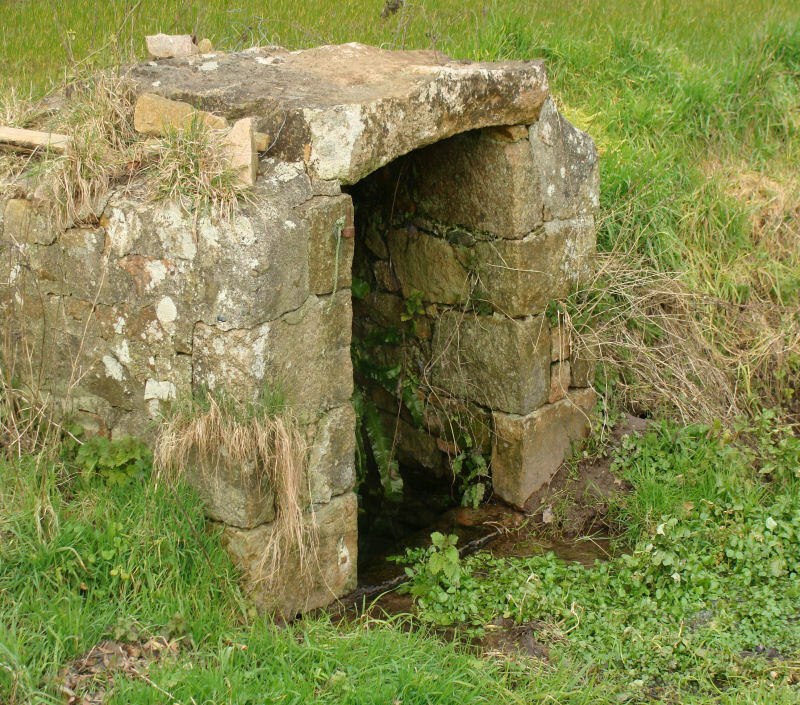 Abrevoir for cattle, St. Laurence. 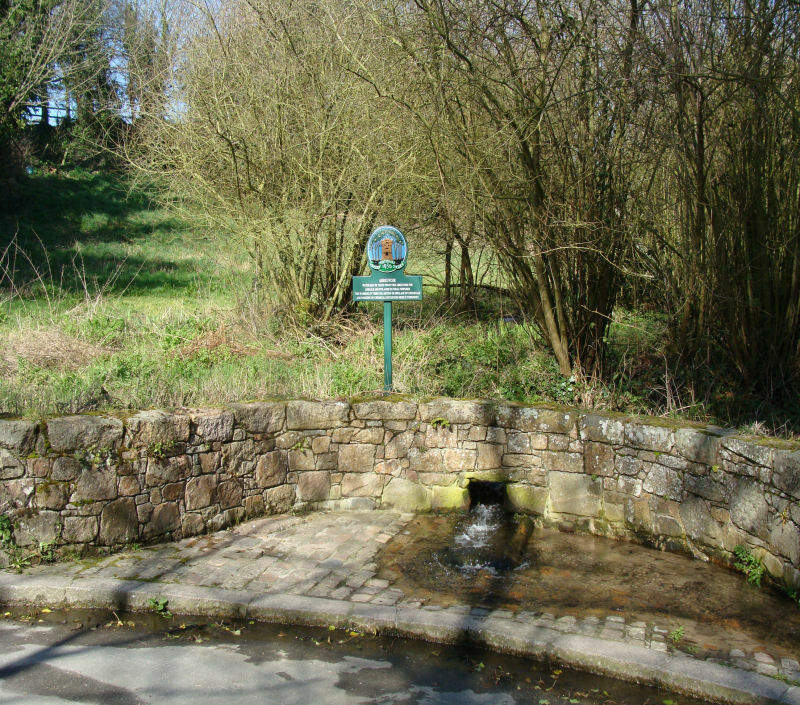 Groundwater studies by the Hydrogeological Division of the British Geological Survey have shown that in general the wells and bore holes draw water from fracture porosity and rare rock unit porosity throughout the island in the upper 40m of the bed rock and soil profile, and that this 'aquifer' is replenished by our local rainfall. Below this depth it is argued that the confining pressure reduces the fracture porosity, and therefore the supply, to levels which will not provide volumes of sustainable supplies (Robbins & Smedley, 1998, p. 8). However, local drillers have shown that there are reliable supplies of water below 40m for domestic purposes, also that there are several aquifers, some perched, and therefore that the single 'aquifer' is variable in its supply, there being dry intervals vertically and laterally, adjacent to reliable supplies. 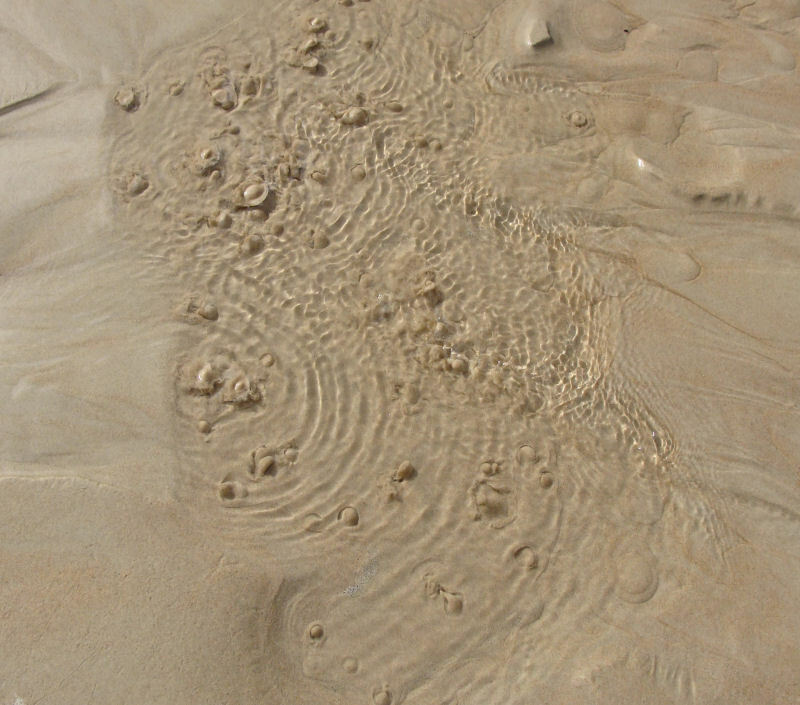 Local geologists also suggested that rather than there being one aquifer, the different rock formations of shales, andesites, rhyolites and even the conglomerate would cause a variety of subsurface conditions with varying porosity and permeability, especially in the volcanic rocks with their different weathered horizons. 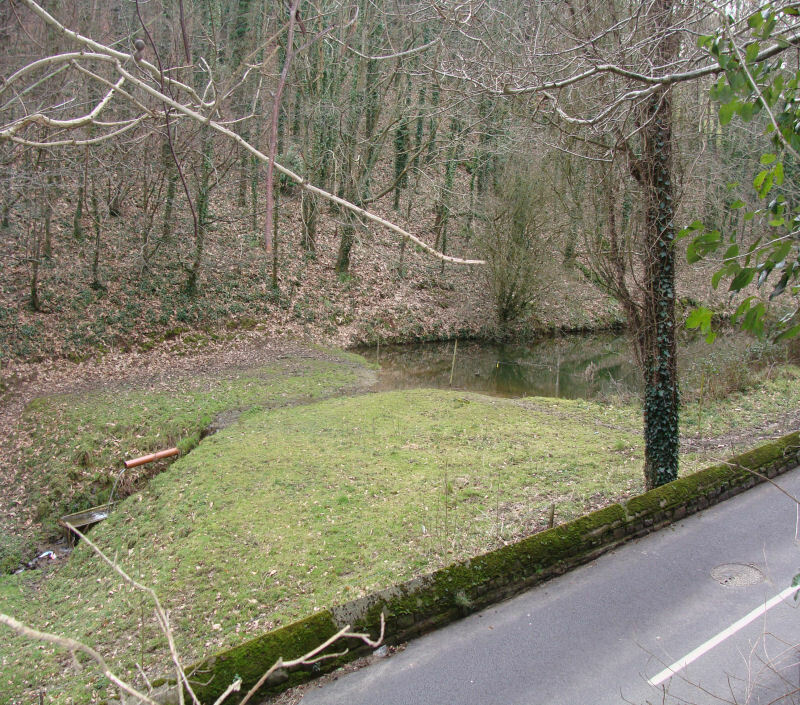 They also compared this subsurface situation to that existing in Brittany where the geology and the water yields are similar to our own, in that there are subsurface barriers, not only of impermeable strata but also of vertical screens (écrans), which prevent lateral permeability and therefore cause variable yields. 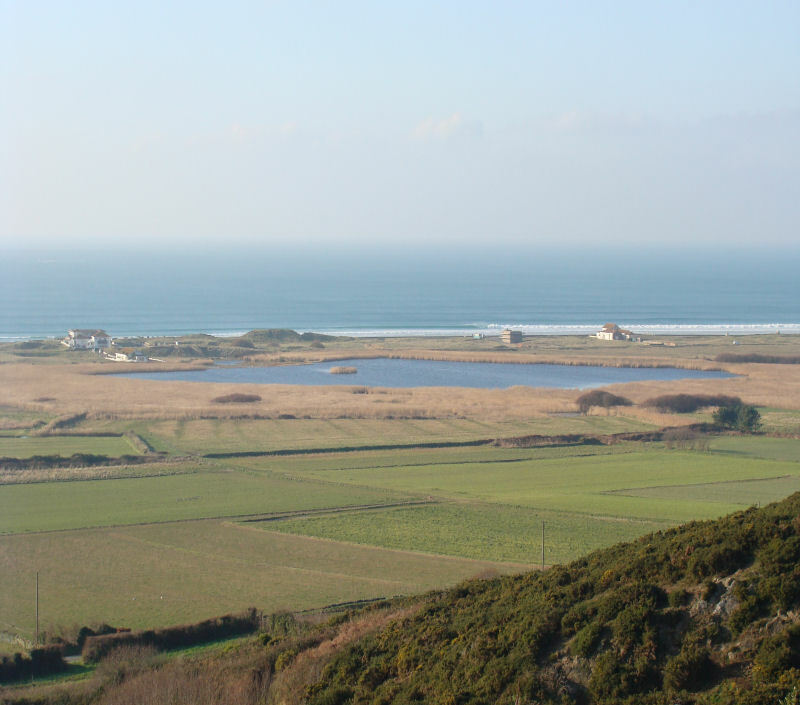 In some places, property owners say they have wells and ponds which never dry out, even in long droughts, the most notable being La Mare au Seigneur (St. Ouën's Pond, below) in Les Mielles along the west coast. 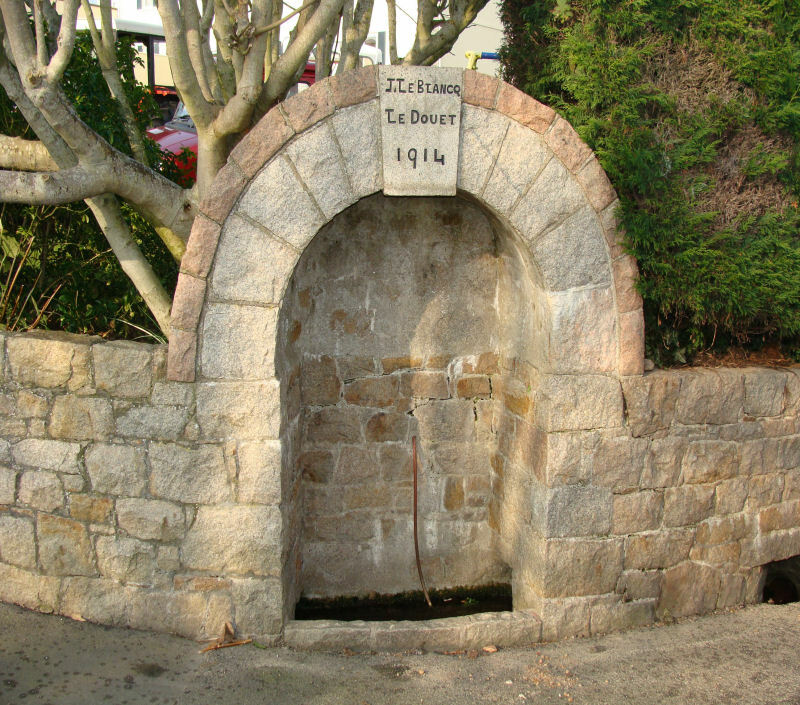 Local water diviners, who have discovered many reliable supplies, are certain that they can show underground 'streams' flowing from east to west and conclude that we receive fresh water supplies from La Suisse Normande, c. 50 miles to the east in mainland Normandy and further afield. Geologically, it is argued that this is impossible due to the intervening geology and the presence of the sea area, La Déroute channel. This theory has undergone controlled testing recently by drilling and well site analysis at two divined sites on 'streams' near the east coast, one in the Southeast Igneous Complex La Rocque Granite and one in the Rozel Conglomerate Formation. The analyses by a British Geological Survey well-site geologist and by Entec UK Ltd show that supplies are relatively low and that recharge is slow, but sufficient in one case for a domestic supply. Chemical analyses, including isotope dating, show that the deeper groundwater has the same signature as our shallow supplies of bore water and that it is from recent rainfall, the deeper sources being hydraulically connected to the shallower groundwater by a network of interconnected fractures (Cheney et al. 2006, p. viii and p. 81). Cheney, C. S., Davies, J., Darling, W. G., Rukin, N. & Moon, B. 2006. Jersey Deep Groundwater Investigation. British Geological Survey BGS Commissioned Report, CR/06/221C, pp. 1 - 151. Robins, N. S. & Smedley, P. L. 1994. Hydrogeology and hydrogeochemistry of a small hard - rock island - the heavily stressed aquifer of Jersey. J. Hydrol. Vol. 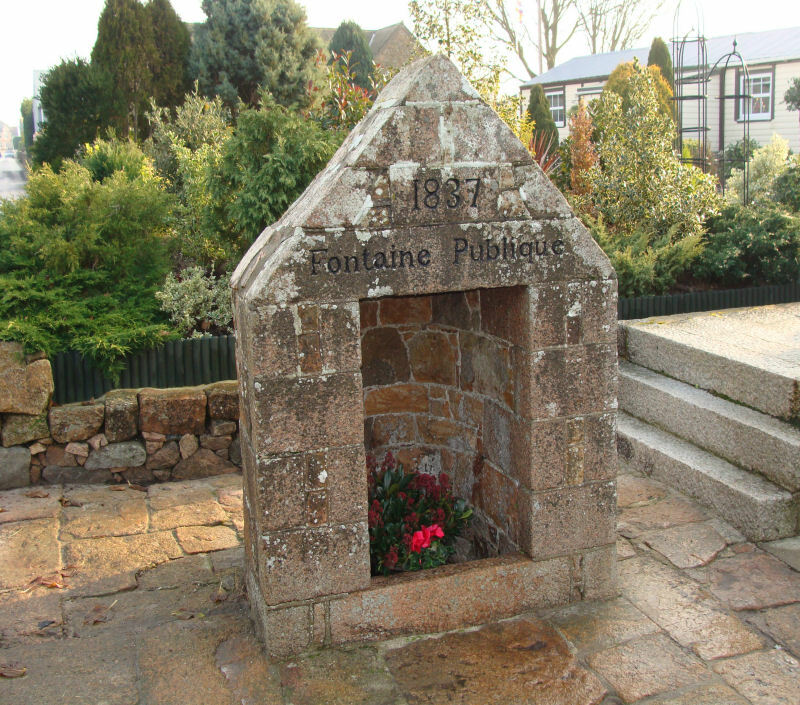 163, pp. 249 - 269. Robins, N. S. & Smedley, P. L. 1998. 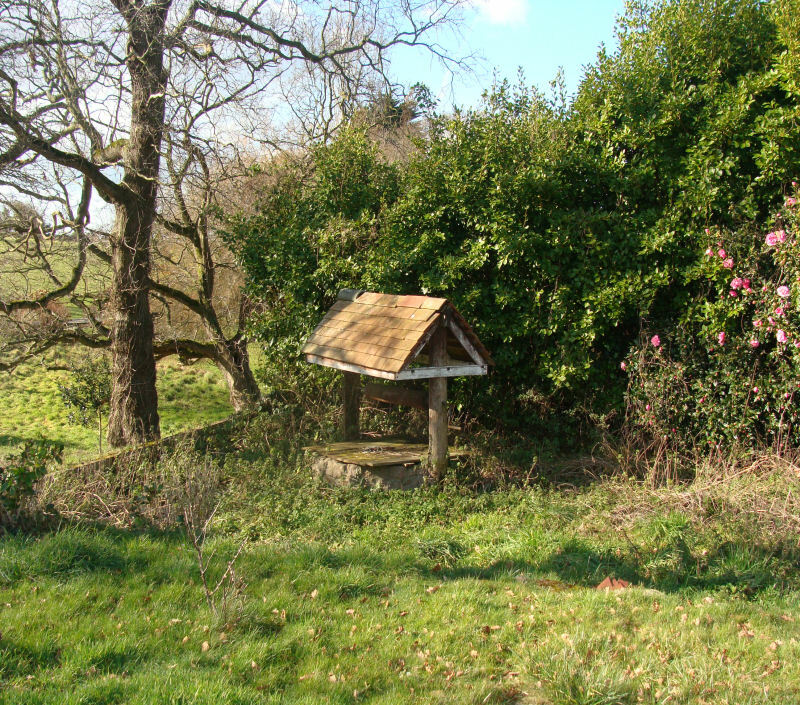 The Jersey groundwater study. British geological Survey Research Report RR/98/5, pp. 1 - 48. Robins, N. S. 2000. 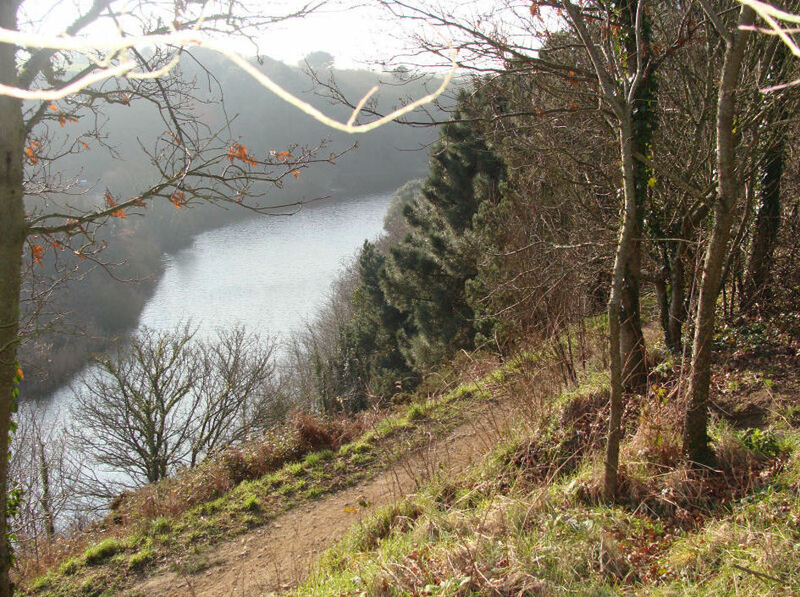 The water resources of Jersey: an overview. Report British Geological Survey, Wallingford (WD 00 28), pp. 1 - 32.